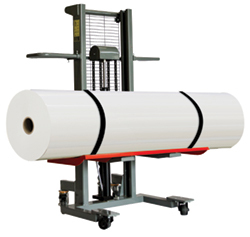 Maneuver heavy media rolls onto the lifter and then directly onto the printer feeder. 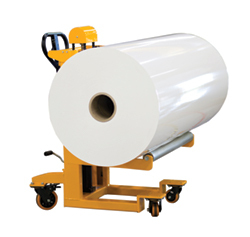 Anyone lifting wide or heavy media rolls. 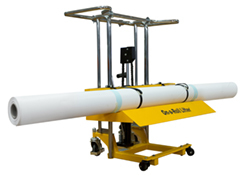 Allows single users to maneuver heavy media rolls. Ideal for tight corners and narrow passages. 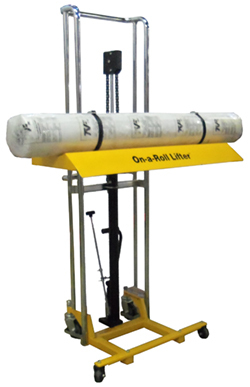 Allows single users to maneuver heavy media rolls onto the lifter and then directly onto the printer feeder. 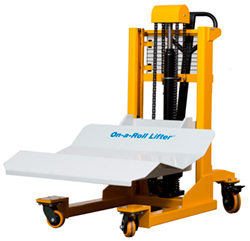 Allows one operator to easily lift rolls as heavy as 990 lbs (450 kg). Diameters as great as 19.6 inches. 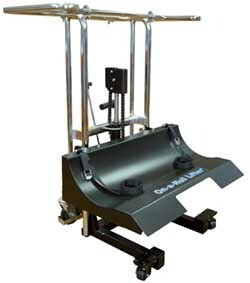 The flat roll loading tray fits a variety of printers models, as well as manyroll-to-roll flatbed cutters. 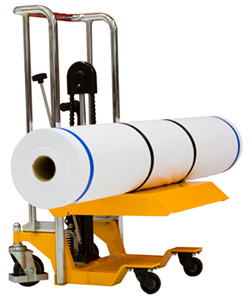 Tray easily fits into the side of the roll loading area. 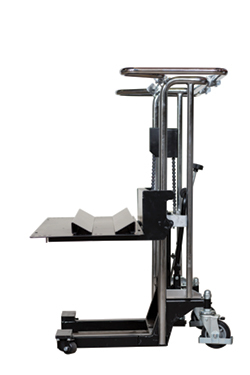 Multiple roll wedge mounting holes enable the operator to position the roll precisely for loading and unloading. Other businesses needing to handle very heavy media. 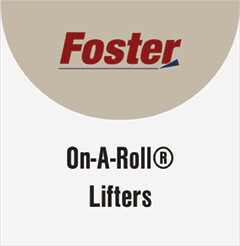 Features bi-directional rollers that permit spinning the roll in either direction.